Tyto Care’s long-planned retail debut of the TytoHome remote diagnostic device has arrived at Best Buy. The telehealth device which incorporates a camera, stethoscope, otoscope, tongue depressor, basal thermometer, and smartphone app can be bought online for $299.99. According to their release, TytoHome will be available at select Minnesota Best Buy stores and will roll out to North Dakota, South Dakota, California and Ohio. TytoHome has been from the start (late 2016) pitched to parents as a 24/7 service for ill children in that middle-of-the-night sick call to the doctor, but more recently for adults as an adjunct to a virtual visit. The Israel-based company with US offices in NYC partnered with American Well early [TTA 2 Dec 2016]. For Best Buy customers outside of Minnesota, North and South Dakota, TytoHome will connect to doctors via LiveHealth Online, an American Well partner. In those three states, TytoHome will connect to Tyto Care health system partner Sanford Health and their medical providers. Each visit will be $59, possibly less if the service is covered by the person’s or family insurance plan. Best Buy, of course, has made a large bet on retail health tech with its purchase of GreatCall, well-known for its Jitterbug phones targeted to older adults with its 5-Star PERS, but also prior to the acquisition with GreatCall’s purchases of Lively’s tech for consumer devices and HealthSense in LTC systems. Their current plans are outlined in a recent interview with CEO David Inns. The NHS App, announced at the end of 2017, piloted in September-December 2018. It started with one GP practice in Liverpool and grew to 34 practices across England, eventually growing to 3,200 registered patients, exceeding its target registration group by over 1,200. The NHS report was issued on 8 April. Most used the app to view their patient records. Unless the patient had given prior consent to their GP to view their full patient record, only a summary was available through the app. This will revert to full patient records with the ability to add to the record as the default by April 2020. For the pilot users, they reported positively on the app for prescription renewals; it was used for 662 repeat prescriptions and was found by 87 percent to be ‘easy and convenient’ as well as the app’s ‘most useful service’. On booking appointments, the feedback was not so positive. Users had difficulty understanding the jargon used in booking. They also found the two-factor authentication for security purposes annoying. For the full implementation, the development team is planning to add a biometric log in. This Editor is quite surprised at a two-week festival mainly about digital health and care in Leeds, but this program seems to have something for everyone–tech developers, interested consumers, medical staff, NHS policymakers, and many more. There are 16 events planned across the two weeks as of now, with such intriguing titles as “The future for artificial intelligence in health and care – dystopian future or digital paradise – you decide!”, a session on teen mental health and social media, “Putting the human into redesigning health and care services”, a session on design, and “Can digital offer sanctuary for refugees and asylum seekers?” which is the first I’ve seen this topic addressed. The events are curated by mHabitat on behalf of Leeds City Council and NHS Leeds Clinical Commissioning Group (CCG). Key speakers will include representatives from the event program’s sponsor, the UK’s leading privately-owned IT and business consultancy BJSS, NHS England, NHS Digital, international speakers, academic experts, patients and citizens with first-hand experience of using digital to manage their conditions, and industry. Much more on the Leeds Digital Festival website here including detailed descriptions of the sessions and venues. #LDF19, Twitter and Instagram @wearemhabitat Hat tip to Anna Goddard of KC Communications for the alert. “The Perils of Pauline” saga that is the CVS-Aetna merger continues. Judge Richard Leon of the US District Court for the District of Columbia twirled his mustache and announced that his court will hold a hearing in May on the merger. Practically nobody dislikes this particular $69 billion merger that’s already closed–not the companies, shareholders, Congress, the states, and not the Department of Justice, once Aetna sold off its Medicare Part D drug business to WellCare. But Judge Leon is an exception. The Tunney Act requires the government to file proposed merger settlements as an approval of the consent decree with a Federal district court to assure they are in the public interest. Most are filed, reviewed by a judge, and approved with no hearings. Since October, Judge Leon has been examining the merger up, down, and sideways in, of course, the public interest and great attention by the press. Now a week (or more) of May hearings will commence with those who don’t like this merger, including the American Medical Association, the AIDS Healthcare Foundation, pharmacy and consumer groups. Teladoc grows its global reach with the MédecinDirect acquisition. Paris-based MédecinDirect currently has 24/7 telehealth operations within France, with patients able to text, video, or phone GPs or specialist doctors 24/7. Terms were not disclosed and the sale is subject to regulatory approval, but expected to close within the first half of this year. Founded by François Lescure, a pharmacist, and Marc Guillemo, a digital marketer, in 2008, the company’s client base grew to more than 40 leading insurance partners and nearly half of the top 30 private medical insurers (PMIs) in France. 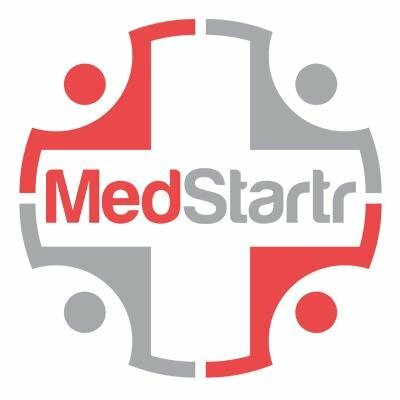 MédecinDirect will become the French unit of Teladoc, which now has operations in the UK, Australia, Canada, Spain, Portugal, Hungary, China, Chile and Brazil, covering 130 countries in more than 30 languages with a growing specialist base from earlier acquisitions Best Doctors and Advanced Medical. Teladoc seems to have moved on from its financial and accounting problems that marred 2018, but still is not profitable. Release, Mobihealthnews. App security innovator Blue Cedar closes on its Series B for $17 million. New investor C5 Capital, a specialist venture capital firm focused on cyber security, joins $10 million (2016) Series A investors Benhamou Global Ventures, Generation Ventures, Grayhawk Capital, and Sway Ventures. Daniel Freeman from C5 Capital will join Blue Cedar’s Board of Directors, Blue Cedar pioneered the approach of securing data from the app to the provider location on a client’s servers or in the cloud, without the smartphone or other mobile device being managed and without additional coding. TTA last year profiled Doncaster UK-based MediBioSense Ltd. using Blue Cedar to protect their VitalPatch app [TTA 23 Jan 18] and later as a case study in how digital partnerships happen and develop [TTA 17 Feb 18]. Release, Blue Cedar blog. Hill-Rom increases its technology bets with Voalte. Voalte is a mobile communications platform used by hospitals and large healthcare organizations for care teams to securely exchange information and data. The privately held company from Sarasota Florida currently serves 200 healthcare customers, 220,000 caregivers, and more than 84,000 devices. Terms of the acquisition were not disclosed but is expected to close during Hill-Rom’s fiscal third quarter of 2019. Hill-Rom, primarily known for its ubiquitous hospital beds, late last year teamed with Israeli company Early Sense to create a smart hospital bed that monitors heart and respiration rates [TTA 12 Dec 18], which ties nicely with Voalte’s monitoring. Release. 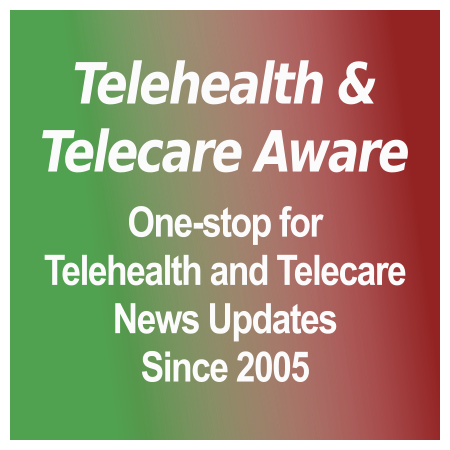 The positive side of telemedicine for two areas–Long Term Care (LTCF). Skilled Nursing (SNF). Two types of care facilities that don’t get a lot of excited cocktail party chatter or much respect in the health tech field. Yet the needs are there, the tech attention has returned, and apparently the money has as well. A major provider of behavioral health services for LTCF, Deer Oaks, is turning to telemedicine (SnapMD) to expand their reach. Already working with 1,400 LTCFs in 27 states in the central to southern US, Deer Oaks has been active since 1992 in providing both psychiatric and psychological services for geriatric and disabled patients. The problem is coverage and the lack of providers. Psychiatry is itself aging out with few young doctors in the field–as well as the uneven distribution of practitioners. Mental health is a significant concern in the older adult population, including those dealing with depression and dementia. Deer Oaks is adding telemedicine to expand to facilities in smaller, in rural areas, to extend hours, and to reach people with limited mobility. Facilities receive equipment and training. Two significant challenges they found were the lack of tech expertise in the staff, and importantly, the reliability of Wi-Fi in those areas, which is needed at 500 kbs of bandwidth to work. This expansion fits with CMS’ extension of covered telemedicine in rural areas and FCC’s continuing Connected Care Pilot Program, San Antonio-based Deer Oaks is estimated to have over $18 million in revenue (CrunchBase) and sees their growth in this area, according to an interview in mHealth Intelligence. Assessing developing conditions in a SNF or LTC patient and preventing readmissions will always get this Editor’s attention, as she started in the field with behavioral telemonitoring for this area. Real Time Medical Systems raised at end of February $9.2 million from SunBridge Capital Management to fund the growth of their analytics software which uses EMR information plus information from clinicians in routine monitoring of resident status to alert for early changes in resident conditions. Appropriate intervention could prevent hospitalization or a more serious development. Real Time currently has 500 SNFs and 30 hospitals, for a total of about 60,000 covered residents. Skilled Nursing News also notes that Call9, an emergency medicine provider that embeds first responders at SNFs to provide onsite care and reduce unnecessary transfers to ERs, has raised a stunning $34 million and is concentrating on both SNF and assisted living. It is connected with several major payers and Medicare Advantage plans. More conservatively, Third Eye Health, which provides post-acute emergency telemedicine to 220 SNFs, recently raised $7 million. All these companies have claimed readmission reductions of 40 to as high as 70 percent, and savings from services such as these may be billions. None of which gets buzzy panels at HIMSS, Health 2.0, or CES, or viral videos on the news as the plight of Mr. Quintana did [TTA 13 Mar, below] but provides a badly needed advance in care services–and savings–for LTCs/SNFs and badly needed and better care for their patient residents. A telemedicine ‘robot’ delivers end of life news to patient: is there an ethical problem here, Kaiser Permanente? Bad, bad press for in-hospital telemedicine. A 78 year-old man is in the ICU in a Kaiser Permanente hospital in Fremont, California. He has end-stage chronic lung disease and is accompanied by his granddaughter. A nurse wheels in an InTouch Telemedicine ‘robot’ (brand is clearly visible on the videos; KP is one of their marquee customers). The mobile monitor screen is connected to a live doctor on audio/video for a virtual consult. The doctor is delivering terminal news: that not much can be done for Mr. Quintana other than to keep him comfortable in the hospital on a morphine drip, and that he would likely be unable to return home to hospice care. Granddaughter Annalisia Wilharm videoed the consult. The screen is high above the bed, the doctor is wearing headphones, and is looking down. The doctor’s voice is accented and hard to understand through the speakers–is the volume low because it’s set low or due to privacy regulations? In any case, the doctor is asked time and again to repeat himself by the granddaughter as the patient cannot hear or understand the doctor. Another factor apparent on the video to this Editor is that the patient is on a ventilator–and ventilators make noise that mask other sounds. Mr. Quintana passed away in the hospital last Tuesday 5 March, after a two-day stay. The video has gone viral here in the US, with the family going to local press first (KTVU). The story was picked up in regional Northern California coverage and blew up into national coverage from USA Today (edited video complete with emotive background music), Fox News (San Jose Mercury News video), and picked up in media as diverse as the Gateway Pundit–if you want to get a feel for vox populi, see the comments. Kaiser Permanente has apologized in guarded terms: “We offer our sincere condolences,” said Kaiser Permanente Senior Vice-President Michelle Gaskill-Hames. “We use video technology as an appropriate enhancement to the care team, and a way to bring additional consultative expertise to the bedside.” Also: “The use of the term ‘robot’ is inaccurate and inappropriate,” she exclaimed. “This secure video technology is a live conversation with a physician using tele-video technology, and always with a nurse or other physician in the room to explain the purpose and function of the technology. It does not, and did not, replace ongoing in-person evaluations and conversations with a patient and family members.” The family also was well aware of Mr. Quintana’s status but is equally upset at his treatment at this critical time. End-of-life news this serious needs to be delivered by a human. Period. Despite Ms. Gaskill-Hames’s statement, the video consult was not intermediated by a human. There is someone in scrubs behind the InTouch mobile monitor, but there is no standing by the monitor nor any effort to interpret what the doctor is saying. Explaining the technology is not explaining what the patient and family can do. The patient had difficulty understanding the doctor’s voice, either through hearing or language comprehension. A ventilator could be blocking or masking the audio. Even so, the audio, depending on the source, is muddy, and the video worse than you get on a smartphone. The monitor is at the foot of the bed, not close to the patient. The patient may not be able to see the monitor at that distance due to poor vision. It doesn’t take much thought to believe there may be an issue of cultural inappropriateness. There is no patient advocate or a chaplain present. Whether one visited later is not known. Another open question: why was additional comfort care and a ventilator not available at home if Mr. Quintana was truly terminal? Did this man die needlessly in an ICU? The popular takeaway about Kaiser, the VA, and other health systems which are deploying telemedicine by their patients is that robots are replacing doctors. We may know better, but that is what the consumer press runs with–an emotional video that, BTW, breaks patient-doctor confidentiality by showing the (unnamed, but not for long) doctor giving medical instructions to Mr. Quintana. It is not the telemedicine technology, it is how it is being used. In this case, with insensitivity. The blame will be laid, in this shallow time, at the feet of the ‘robot’. Rightly, blame should also be laid at the feet of the increasingly ‘robotic’ practices of major health systems. There will certainly be more to this story. A view at some variance, but winding up in the same place, is expressed by Dr. Jayne in HIStalk.